Art Historian Dr Matt Lodder is one of the experts featured on the BBC Radio Four series The Intimate Art of Tattoo presented by Laurence Llewelyn Bowen. During the two-part series Dr Lodder explains the emergence of the British tattoo industry in the late 19th Century and describes how Sutherland Macdonald, the first professional tattooist in London, had an upper class clientele with an interest in the Orient. 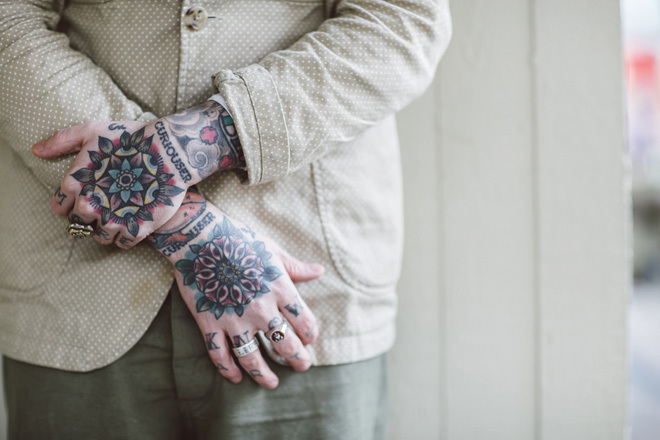 Although many believe the growth and popularity of tattoos is a relatively recent trend, Dr Lodder argues that tattooing has been a consistent part of British culture for well over 100 years attracting people from across the classes. He said: “I’m basically sceptical of the idea that there is a ‘trend’ at all. As I say in the programme, the media have been reporting on some brand new fashion trend for tattooing every decade since the 1880s (yes – the EIGHTEEN eighties!). “It’s certainly true that there are more tattooed people – and more visibly tattooed people – than ever before, but I don’t think the demographics have changed as dramatically as the media would have us believe, and I would argue that the current popularity is just a continuation of the expansion we’ve seen for decades, rather than some ‘hot new trend’.